CFWF absolutely has the potential to be something great. 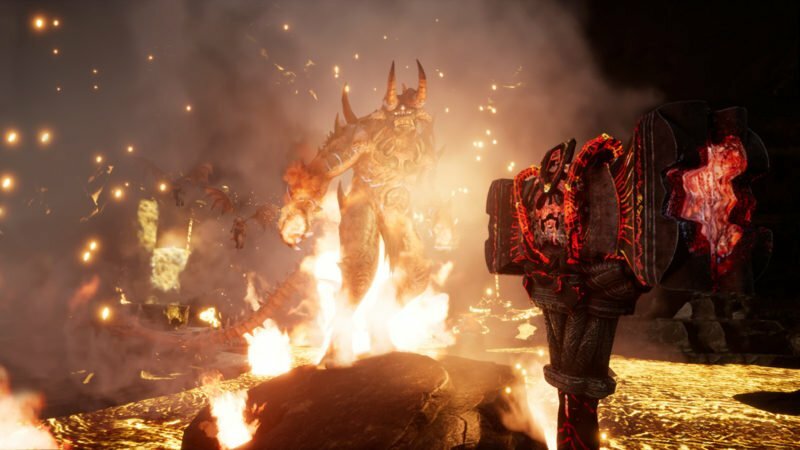 Unlike the other games in its genre, it has a robust skill tree, and beautiful graphics, but unless you’ve been chomping at the bit for an open-world wizard game, it’s not quite time yet. What is Citadel: Forged with Fire (CFWF)? RIP Wurzard, lost in a server somewhere far far away. Some of you may be calling me an idiot right now, but this is crucial. As of yet, the search/filter functionality on the server list in CFWF does not work well (most of the time not at all), which means you really need to remember which server you picked. Characters don’t transfer between them, and there is no indication of which server you have a character on, and the ‘history’ button doesn’t work. So, if you intend on picking up your game where you left off, write down your server name and where it appears in the queue (because sort doesn’t really work either). Much like the rest of the survival-crafting genre, servers have their own modifiers making it faster to level up, speeding up crafting, augmenting damage, etc. Personally, I enjoyed the servers that had sped up gathering and XP gain as it broke down the barrier to me becoming a badass wizard faster. Note that there are also PVE and PVP servers, so depending on whether you want to get griefed (or do the griefing), choose wisely. This is dependent heavily on which server you pick. If you’re going for a server with 3X XP modifiers, go for it, spend your skill points like there’s no tomorrow, because you’ll always be earning more, but, if you’re on a traditional server, check out the full tree first to make sure you’re investing in talents you want. It’s also worth noting that some talents make the grind to get resources more bearable, by adding abilities that let you collect resources via magic. CFWF currently allows for four different styles of wizard based on weapon type: Wand, Staff, Gauntlet, and Melee. Each of these weapon types will limit which spells you can use and equip. While it is possible to learn all the weapons, it’s a waste of skill points, and you’re probably better off re-rolling a character. For what it’s worth, wielding a staff did make me feel like a murderous Gandalf, fulfilling a lifelong dream. As with most online survival-crafting games, CFWF is considerably more fun when you’re playing with others. Alone, the experience can be frustrating and incredibly difficult (like if you need to fend off two curious, blood-thirsty bears). Having friends also helps speed up the crafting process, and can make you less of a target for griefing. If you don’t know anyone playing, the reddit and discord channels for CFWF are a great place to find groups. CFWF absolutely has the potential to be something great. 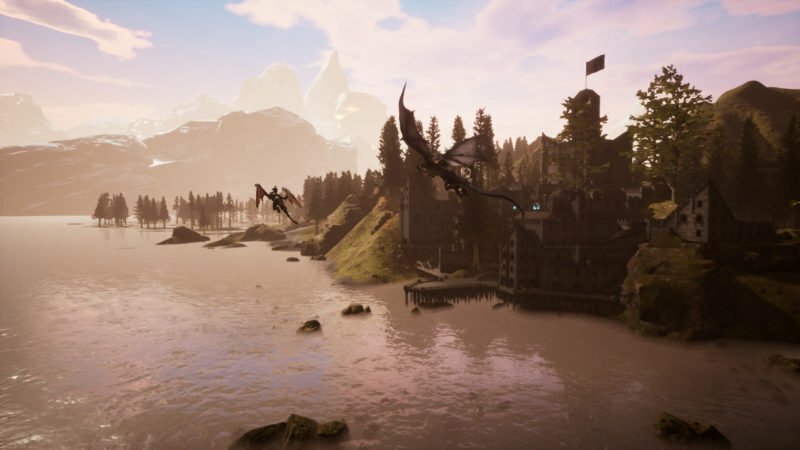 Unlike the other games in its genre, it has a robust skill tree, and beautiful graphics, but unless you’ve been chomping at the bit for an open-world wizard game, it’s not quite time yet. CFWF is entertaining for a bit, but quickly becomes repetitive, and the game is full of bugs in its current state. The devs are working hard to fix these, and I will update my opinions when the game reaches full release. For now, wait for a Steam sale. 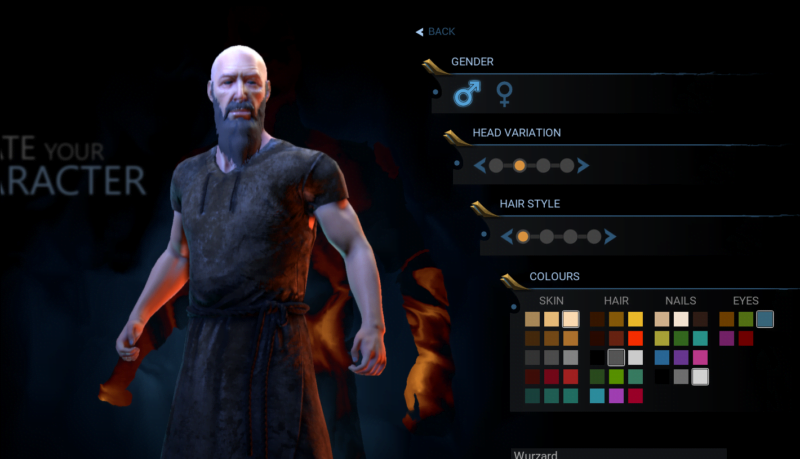 Citadel: Forged With Fire is available on PC now, in early access!